Silk was discovered long ago when a queen was peacefuly drinking her tea under a tree. All of a sudden a silk worm wrapped in its cacoon plopped into her cup of tea. When she tried to pull the cacoon out it stretched out into a long thread. 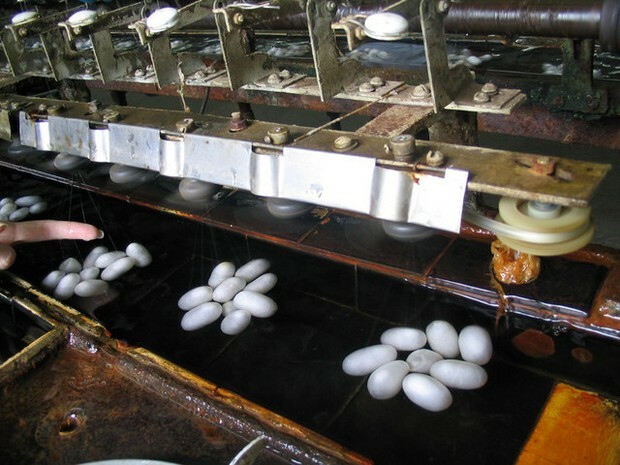 It was strong and good for making cloth, but felt like water rolling over your skin to the touch. 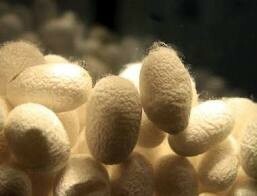 Silk soon became a very valuable cloth. The king wanted to keep this new discovery secret so that it would be more valuable. He put guards at every exit trying to hide the silk but soon a munk hid the silk worm cacoons in his walking stick and exposed them to everyone. The silk spread everywhere being sold, bought, and stolen. 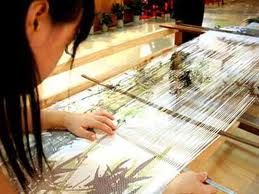 The people used the silk for clothing and to paint on. 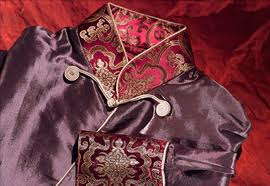 Discovering silk helped the people because silk is a strong cloth that was very soft and was easy to make clothes out of. It was also great to paint on and make designs. Also it was something new that everyone wanted so it was easy to sell and make money off of.